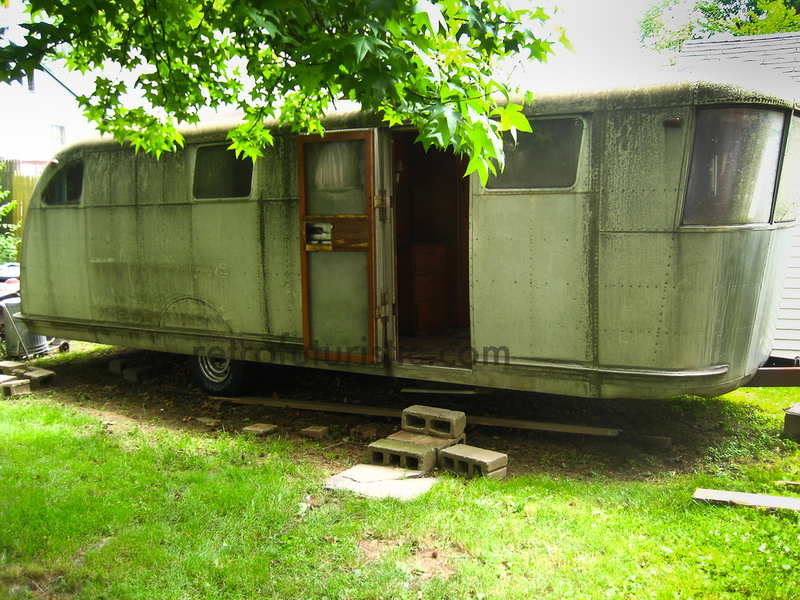 This is a 1946 26ft distressed trailer built in Tulsa OK. Distressed it still has many of the qualities of built to endure. At times we need to view these qualities in a distressed mode to value its meaning. As per some of the included photos, it was owned by the Barton Family here in S.I. NYC. Mrs. Barton who is the woman captioned in various photos, had an interesting life. I noticed a photo central to her home of a couple riding an Motorcycle circa 1940"s. It turns out it was her on a 1946 Indian Motorcycle with her then boyfriend to be life husband. 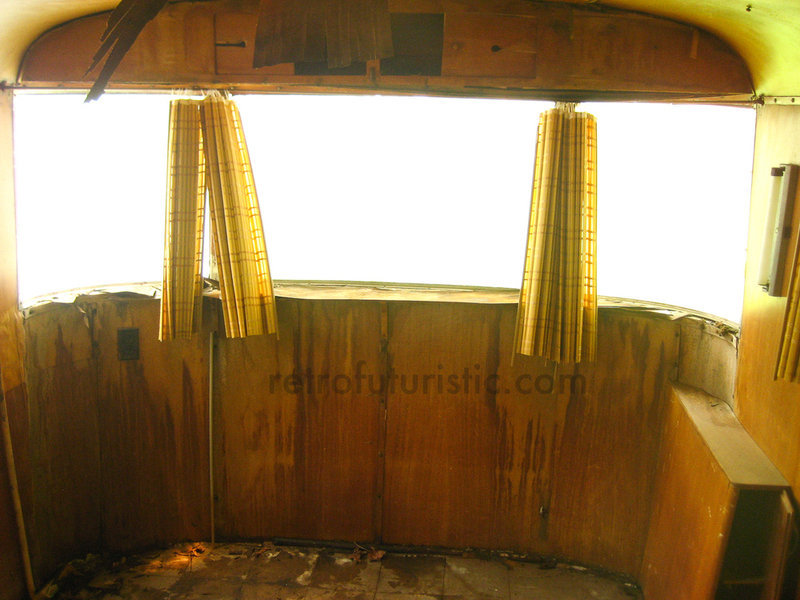 Distressed interior of a 1946 26 ft vintage trailer. Presently left in a as is condition for a post industrial / apocalyptic photo shoot. located two hours outside of NYC. Can be brought to NYC or environs. Airstream was 80% of the beauty and detailing that went into these vintage trailers.